Even though the VA Aid & Attendance benefit has been available for many years, most veterans and surviving spouses have either never heard of it or know very little about it. Sometimes referred to as an “enhanced pension” or “Special Monthly Compensation (SMC)”, the Aid & Attendance benefit includes both the VA’s Basic Pension for veterans and surviving spouses, as well as an additional monetary payment to help reduce the financial burden of long-term care. Long-term care is a term used to describe continued assistance with personal care like bathing and dressing. The need for long-term care is generally due to illness, disability or cognitive difficulties such as dementia and Alzheimer’s. The Aid & Attendance benefit is a monthly, tax-free pension that can help veterans and spouses pay for long-term care, including home care and facility care. Aid & Attendance benefit amounts vary depending on whether you are a veteran, married veteran or surviving spouse. The maximum benefit for a married veteran is $2,127 per month ($25,524 per year). A non-married veteran is eligible for up to $1,794 per month ($21,528 per year) and a surviving spouse can receive a maximum of $1,153 per month ($13,836 per year). A veteran who is applying for the benefit and who is also married to a veteran, can be awarded as much as $2,846 per month ($34,152 per year). There are several eligibility requirements for the Aid & Attendance long-term care benefit. To start with, the veteran must have served a minimum 90 days of Active Duty, with one day during an eligible period of war. Veterans applying for the benefit must be at least 65 years of age with any type of military discharge other than dishonorable. A veteran who is younger than 65 and who is permanently and totally disabled may also be eligible for the benefit. There are no age requirements for a surviving spouse. However, the spouse must have been married to the veteran at the time of his/her passing and never remarried. A spouse who re-married a non-veteran is not eligible for the benefit. 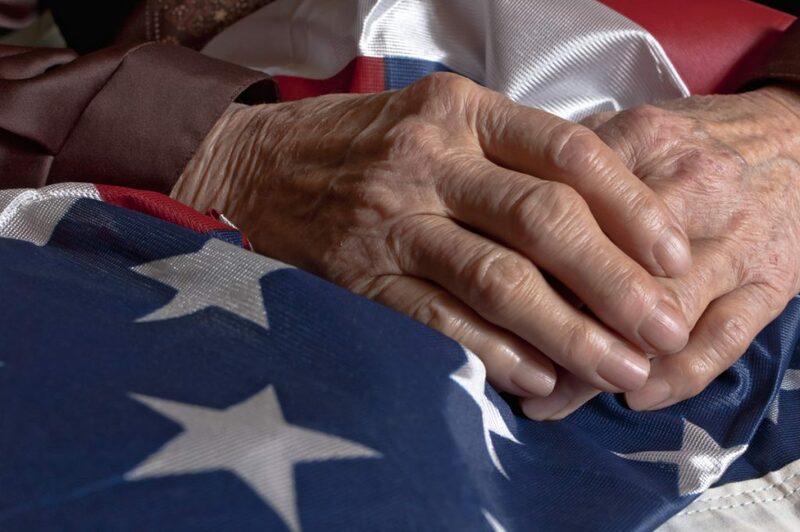 The veteran or surviving spouse must also need assistance with at least two of the basic activities of daily living (ADLs): bathing, dressing, feeding, toileting and transferring. Many people mistakenly believe that the benefit will be awarded if the veteran served during an eligible period of war and the claimant (the veteran or spouse who is applying for the benefit) needs care. There are many other factors that the VA will consider when determining whether or not to award the benefit, including income, how much you are spending on care and assets. The VA has hundreds of rules covering Aid & Attendance eligibility and qualifications. Net worth requirements in particular can be extremely confusing. When a veteran or surviving spouse is still living at home, the Aid & Attendance benefit can help cover the expense of home care assistance. The care (help with daily living activities) can be provided by a family member (excluding a spouse), friend or professional caregiver. The person providing the care does not have to be licensed. Most people would prefer to stay in their home until end-of-life. However, the lifetime cost of providing home care to an individual can be substantial – as much as $175,000 according to one AARP study. With Aid & Attendance, veterans and spouses can spend more years receiving care in the comfort of their own home. Assisted living facilities are places that provide apartments (single or shared) for seniors. There are also caregivers on-site that can help residents with personal care. The average cost of an assisted living facility is $2,500 to $4000 per month. Skilled nursing care is even more expensive, with rates ranging from $6000 to over $10,000 per month. Many seniors are financially unprepared for the expense of long-term care. However, when a veteran or surviving spouse needs to move to an assisted living facility, the VA Aid & Attendance benefit can help cover the costs. The facility must provide assistance or stand-by assistance with some of the activities of daily living. Veterans who became disabled from an illness, disease or injury while on Active Duty are eligible for a tax-free benefit called Disability Compensation. You may also qualify for this benefit if you had a health conditions that worsened due to your service. Aid & Attendance is not a service-connected disability benefit. It is a pension for veterans and surviving spouses who need financial help to pay for long-term care. If you are a veteran who has been rated less than 100% disabled by the VA, you may also qualify for the Aid & Attendance benefit if you meet the program’s requirements. In cases like these, the VA will pay the higher of the two benefit amounts. In certain cases, a veteran who has a VA disability rating of 100% can receive additional compensation to offset the cost of care. The Aid & Attendance benefit reduces the financial hardships of long-term care. Although veterans have earned this benefit, getting a benefit claim approved can be difficult due to the myriad of requirements, rules and regulations. You can however, get assistance with the process from a VA Accredited Claims Agent, an individual who has been specially trained by the VA to help you apply for benefits. A VA Accredited Claims Agent will have the most current VA benefit information, and can legally represent the veteran or spouse before the VA Claims Board. If you still have questions about the VA Aid & Attendance benefit or want to learn more about VA financial aid for long-term care, click here to speak with an American Veterans Aid benefit consultant.